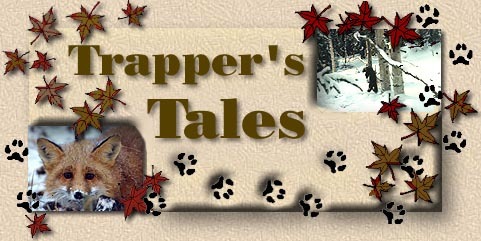 The writings listed below have been written by trappers who wish to share their stories, poems and tales. All are welcome to submit their works for consideration and posting by emailing them to Paul Dobbins. There will be no stringent guidlines for accepting your works. The primary consideration will be given to the appropriateness of the writing. Each work submitted will be checked for vulgarity and how the piece reflects on trapping. These are the two primary standards that need to be met.